Immaculate and fabulous Horizon South condo! This is a 1BR/1.5BA with hall bunks, completely furnished and rental ready. This an end unit on the second floor with a private balcony and the building has a new roof. Horizon South is a gated complex on approximately 22 acres of beautifully landscaped property on the west end of the beach. Amenities included four swimming pools (one seasonally heated), a children's pool, tennis courts, mini-golf, shuffleboard, a game room, exercise room, and a clubhouse with billiards table. There is also a dedicated beach entry for Horizon South owners/guests. 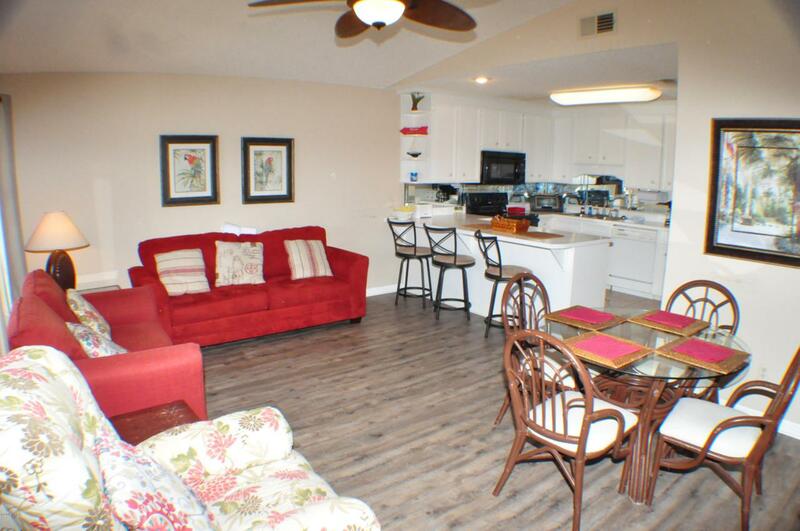 You're close to Pier Park, 30A and all things beach with this terrific condo! All info is approx. and must be verified by Buyers if important.Sellers say they netted approx. $15,000 from rentals in 2018. Long term winter guests and short term during the spring and summer.